BREAKS DOWN THE ODOR of cigarette, cigar, and/or pot smoke without having to wash or rinse. Generously spray Smoke Eater to any surface including the headliner in your car and let Smoke Eater work its magic! TEA TREE OIL is our secret weapon; naturally and harmlessly breaking down any unwanted aroma at the molecular/enzyme level. ALL NATURAL and perfectly formulated, use mother nature to combat pesky and unwanted smells! FRESHEN your curtains, couches, clothes and hair. Works on many odors besides marijuana or cigarette smoke as well such as mold, food smells, musty rooms! The truth is that smoke odors permeates into our hair, car seats, furniture, carpets, walls, or just about every other nook and cranny in our lives, making it particularly difficult to eliminate. Smoke Eater is Nature’s Air Odor Eliminator. This gorilla of a cleaner hunts down and destroys the smoke odors out of carpets, drapes, furniture, clothing, and bedding by harnessing the power of Tee Tree Oil and breaking down the molecules and enzymes associated with unwanted odors. The 4 ounce atomizer is stealthy enough to hide in a glove compartment, a purse or even your pocket. So, when you need to eliminate cigarette or marijuana odors in your car, just pull our Smoke Eater. 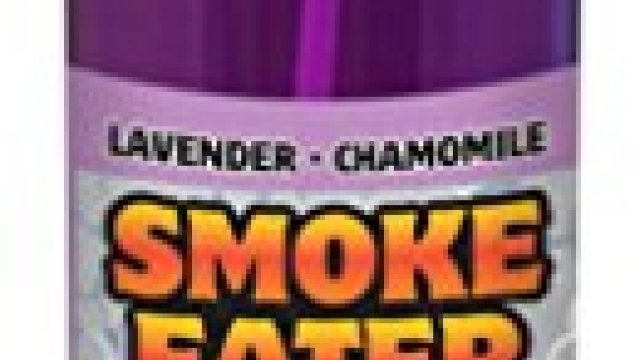 Simple to use and inexpensive, Smoke Eater is the answer to eliminating ALL smoke odors.